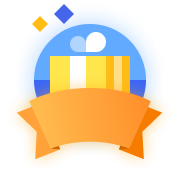 The first 100 users in the Gift rankings will receive a special badge for this event. Kishiki: Uh is his father that crazy too? Roshtakulos: Doctor Chen would feel so “welcomed” when he wakes up locked inside a mental hospital room with only water, some snacks and Chen Ge’s phone number. In fact, he would feel very touched when he find that Chen Ge left the almost red specter Xu Yin waiting for him outside. I'd give him one last reminder to be safe and remind him to atleast have a real talk and understanding with the his own lover for the sake of our friendship before cutting our ties and run away from them. Yup. What I'll be afraid of is being killed by a friend's lover because of a misunderstanding. I don't want to be scared when I'm with my lover. otep_: I thought xu yin will become a red specter. Is Xu Yin kind? Or just picky? Pepesigh: If only those doctors knew what he's really thinking. MyrdalHerseim: "Papa?" The middle aged man said to the old man lying down on a worn out bed. The old man stood up, faintly, hands trembling while he mustered his strength to rise from his bed. "What? Didn't I tell you not to..."
"It's happening, papa." The old man stood up, in a flash of strength. "There's daily releases again, papa." The strength of his old legs almost faltered. A single tear escaped his eyes. "You are not lying to your old man, are you?" The middle aged man shook his head, crying. "No, papa. It's true. My House of Horrors has been released 35 minute ago. It's been half a day now." The Old Man's legs couldn't stand and he dropped to his knees, now crying abundantly. "Thank you, gods. My ancestors were right. Even though it is released 2x every day, it feels like a 1 million years have gone by waiting for the next release! Please, grab my phone!" Maybe his specters can carry them? And an out of control door, no wonder his parents told him to never go to the eastern part of the city.